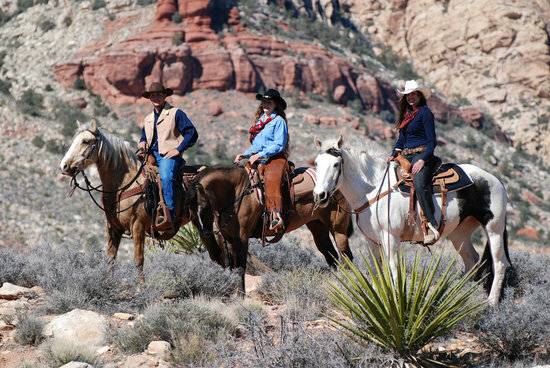 This sightseeing tour of the Grand Canyon begins with a hotel pickup in Las Vegas. 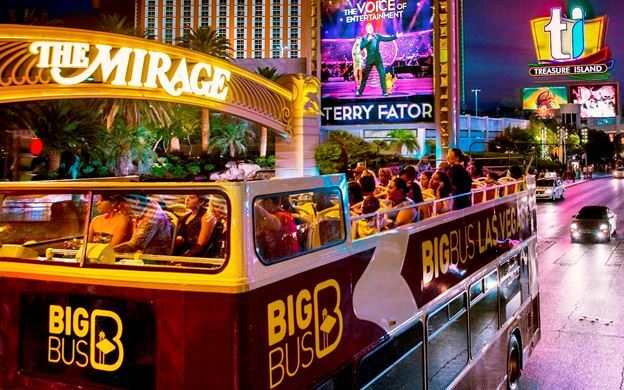 Make the trek east in an air-conditioned, luxury motor coach, passing through the Mojave Desert and the Black Mountains and Grand Wash Cliffs of Arizona on the way. Arrive at the Grand Canyon National Geographic Visitor Center for lunch and souvenir shopping, then proceed to Grand Canyon National Park for several hours of exploring at the South Rim. 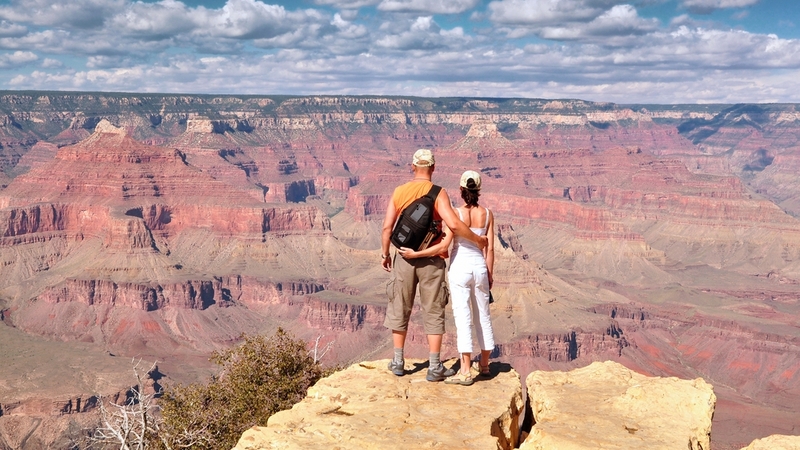 Make scenic stops at Bright Angel Lodge, one of the original hotel destinations at the Grand Canyon South Rim and Mather Point, with the most popular overlook and trails lining the edge of the canyon. 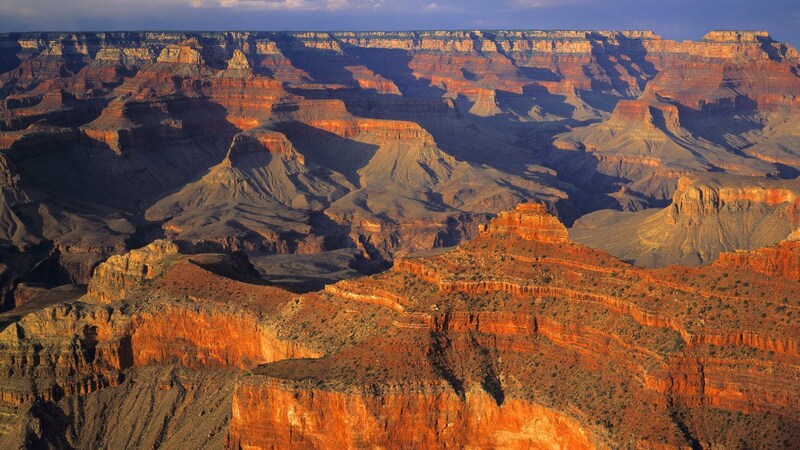 See the widest and deepest point of the Grand Canyon at over 8,400 feet deep and 21 miles across. 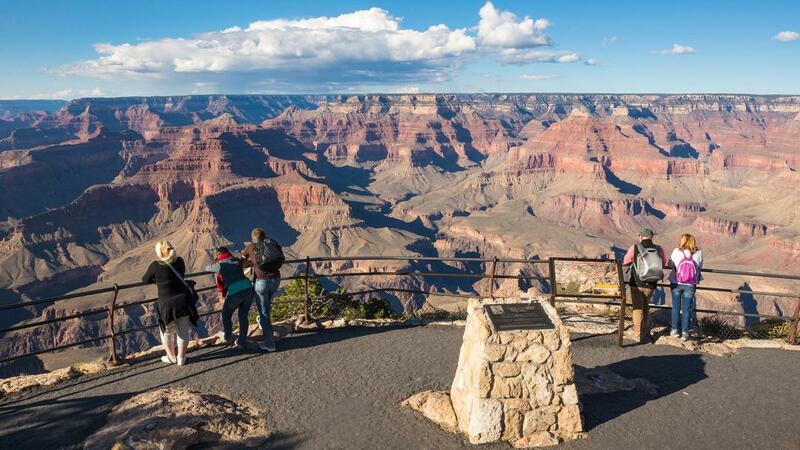 Upgrade to include the most-watched movie in IMAX history, Grand Canyon Discovery and Adventure, and/or a guided 2-hour Jeep tour along the rim, complete with stunning views and an education on the canyon’s history, geology and wildlife. Another option would be to take a 25-minute helicopter flight over the South Rim of the canyon (this replaces the visit to Mather Point). 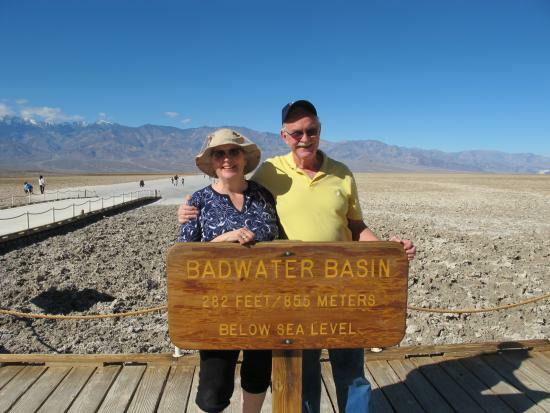 This day tour also includes a photo stop at Hoover Dam, either before or after visiting the Grand Canyon. Please note: Hoover Dam stop may be rearranged based on local traffic conditions. This is to ensure the maximum amount of time at the canyon.